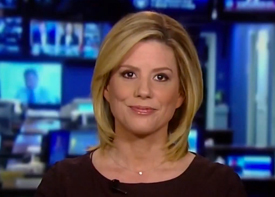 In an account reminiscent of the Apostle Paul’s Damascus road experience, Foxnews Democrat commentator Kirsten Powers tells of her life-changing encounter with Jesus in an interview with Christianity Today. Powers, who worked for the Clinton administration from 1992 to 1998, said her religious views “wavered between atheism and agnosticism.” Politics was her religion and liberalism her theology. Her journey started a year earlier, when unknowingly she dated a Christian man. However, when he opened up about his faith a few weeks into their relationship, her heart dropped. He was equally concerned she wasn’t a Christian. Kirsten was honest and told him that she would never believe in Jesus. But he suckered punched her when he asked Kirsten if she was open to Christianity. Openness is a liberal’s slogan. When her boyfriend asked Kirsten to join him at church, she reluctantly agreed. They started attending an evangelical Presbyterian church pastored by Tim Keller. Kirsten said she enjoyed his preaching. “I just tolerated the rest of it in order to hear him,” she said. The only thing she didn’t like was the way he talked about Jesus at the end of the service. But Keller’s preaching had an impact. Kirsten started to believe there was a case for God. “But I didn’t feel any connection to God, and frankly, I was fine with that,” said Kirsten. Then she met Jesus in Taiwan. Ironically it was on this same trip, her Christian boyfriend phoned to break up with her. Horrified by the prospect of becoming a Christian, Kirsten said the “Hound of Heaven” continued His pursuit finally resulting in Kirsten fully embracing her Christian faith. For those unfamiliar with the Apostle Paul’s conversion. Prior to his conversion he was known as Saul. He was a Rabbi actively persecuting the early church, rounding Christians up and throwing them in jail because at this point only Jews made up the early church. They believed Jesus was the Jewish Messiah and still attended synagogues. This is probably the same Saul who initiated Stephen’s stoning (Acts 7:58) — the early church’s first martyr. Some believe Saul was also a member of the Jewish Zealot Party (Acts 22:3; Galatians 1:14), which organized a rebellion to overthrow the Romans. This group was behind the Jewish revolt in 66 AD – 70 AD that resulted in Rome destroying the Jewish Temple in 70 AD. After his conversion, Saul changed his name to Paul and took the Gospel to the gentiles. Yes it is. I always find it interesting when Bible incidents like this are repeated in the 21st century.